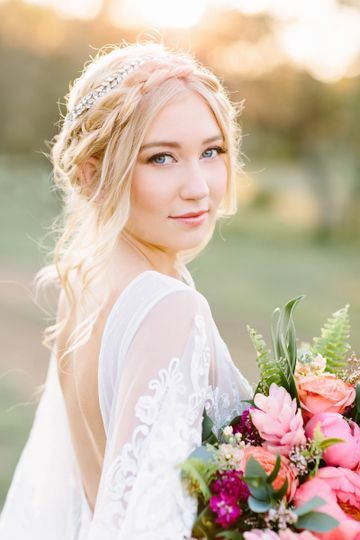 Hannah Elisabeth Beauty is an elite team of Makeup Artists & Stylists, offering luxury, on site beauty services. 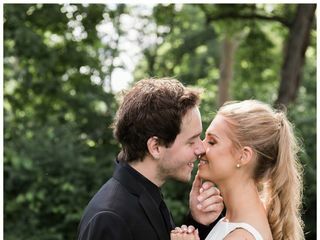 Our team focuses and specializes in Bridal, and is dedicated to bringing you highly skilled artists, professionalism, and an unforgettable experience on your wedding day. 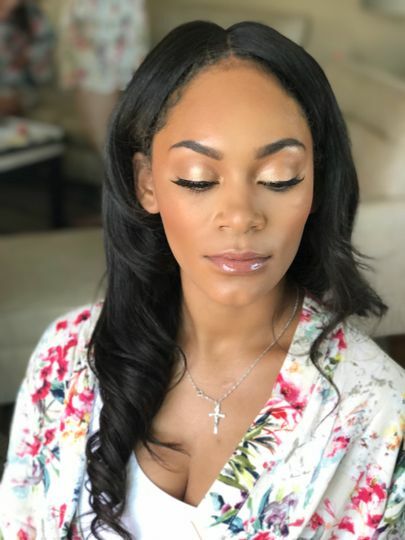 The Hannah Elisabeth Beauty team is located in both Los Angeles & Chicago, and is available for travel for all destination weddings or events. Hannah is UH-MAZING!! Not only is she beyond sweet, but she is SO EXTREMELY TALENTED! One look at her Instagram page will leave you scrolling through her portfolio for hours on end. The best part? What you see is truly what you get. 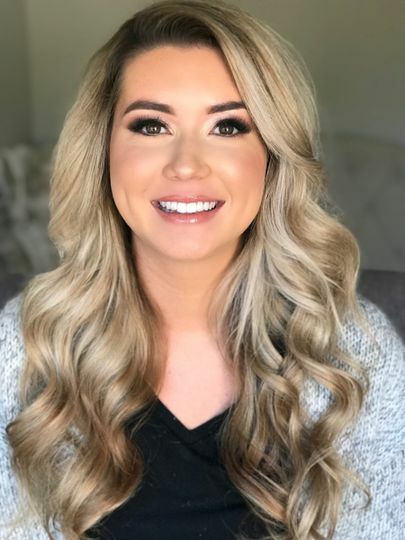 She helps transform you into the most beautiful version of yourself, which is why I’m beyond grateful that I was able to book her for my wedding. 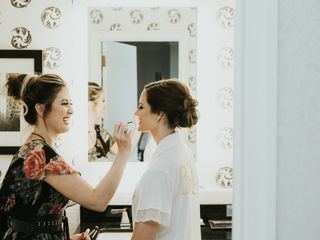 I had a total of 12 girls (myself included) getting their make-up done on my wedding day and not only was everyone super happy with their look, but it stayed on all night (mind you, we started getting ready at 7 am and the night didn’t end until around 2 am). Hannah and her team arrived on time, listened to what each girl wanted and got us ready and out the door in no time. I have never felt prettier than on my special day and I owe that all to Hannah. Don’t think twice about booking her, you won’t regret it!! Thank you so much for your review, Joanna! You looked absolutely gorgeous, and it was an honor to work with you and your bridesmaids for the big day - We had so much fun with you ladies! Congratulations again on tying the knot. Wishing you and your husband all the best! 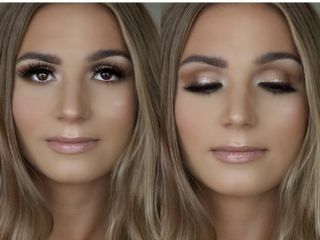 If you want to ensure you will look perfect on your wedding day, then you need to hire Hannah. 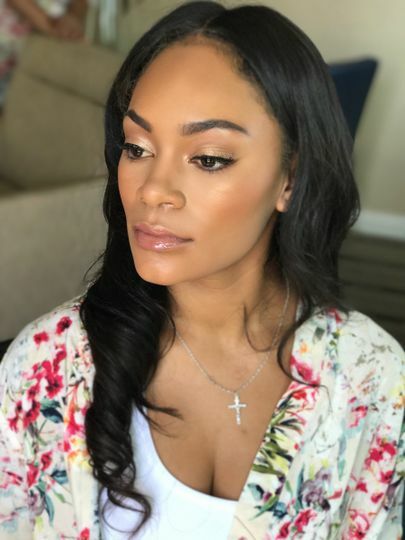 I think like most women, I tend to be a bit hard on myself and I was really nervous that I would let my insecurities get in the way on my wedding day. Well, the minute I looked in the mirror I was choking back tears. I have never felt more beautiful in my life. 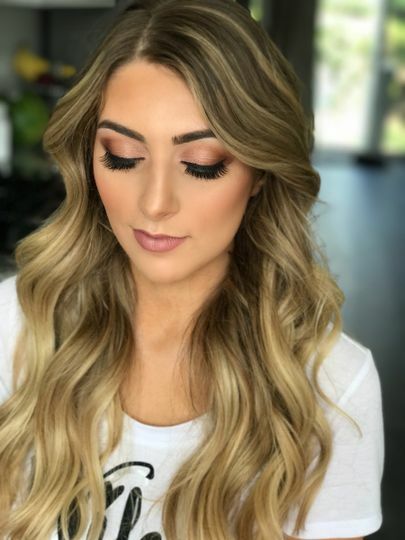 She did my hair and make-up for my engagement photos, as well and to this day I get compliments about them. On top of that, her team, Jess and Amela, oh my god. The best part of getting ready was watching each of my bridesmaids light up as they saw how beautiful they were in the mirror. I wish I could really put in to words how amazing Hannah is (and her team) because I feel this isn't doing her justice. She is beautiful inside and out and really makes you feel like one of her girlfriends. She's really the best. Hannah does amazing work! 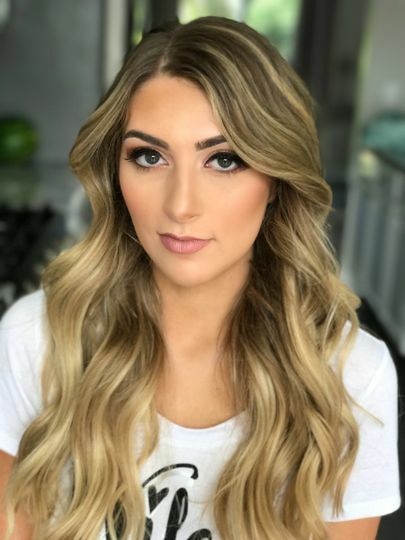 Not only is she extremely talented at hair and makeup, she is also so sweet and truly listens to what the client wants. She always shows up early and finishes on time. 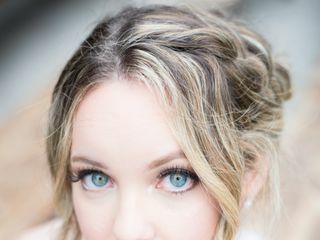 She is a joy to work with and I highly recommend her to any bride!